Are You Ready for Google’s Next Algorithm Change? Web site operators are anxiously awaiting the results of Google’s algorithm change on Tuesday, April 21st. The changes will reflect the growing use of mobile for search, and Google says it will give higher precedence in search rankings to mobile-friendly websites. Even before this announcement, Google started making mobile design a visible search advantage by marking sites “Mobile-friendly” in November of 2014. Many in the industry have thought this was a prelude to making mobile-friendliness a ranking factor, and the time has now come. The Computerworld article How to prep, in 7 steps, for Google’s mobile search change suggests several ways to be ready for Tuesday’s launch with a few directions. Most obvious is to get your site optimized ASAP for mobile display and search. If your site isn’t there yet, Google’s test result will show you a few ways to get going on that effort. 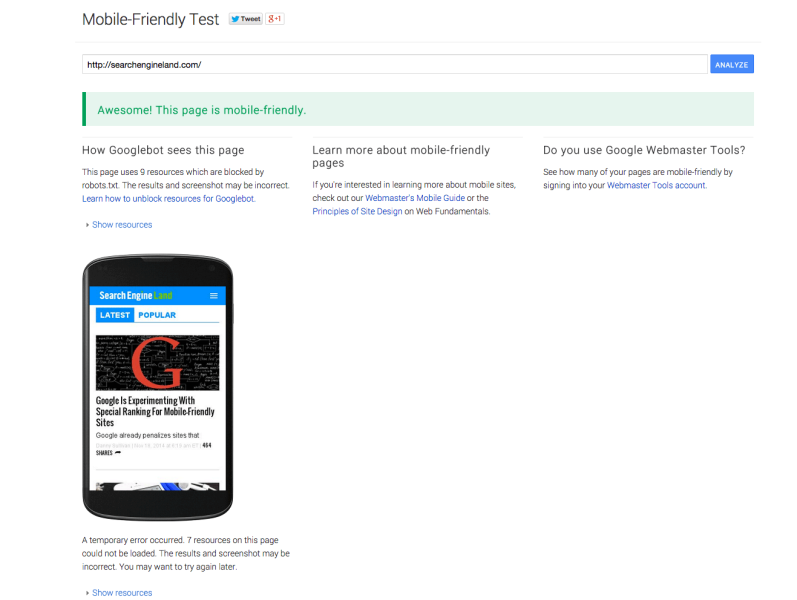 Test your site on Google’s Mobile Friendly Testing Tool. Alas, some big brands may get left behind initially from the algorithm change. Business Insider reports on many global brands and government agencies whose current sites don’t pass the mobile test. These include brands like Kellogg’s UK, Danone, The Daily Mail, American Apparel, the official website for the European Union and other big sites. Without a quick move on their part, these brands may see their search listings impacted this week. For further resources, our partners at Hubspot have put together a ‘What You Need to Know’ guide for getting your site ready for mobile. This article was syndicated from Business 2 Community: Are You Ready for Google’s Next Algorithm Change?